The winter of 2017 will be remembered as one of the worst winters in recent history with a record amount of snow falling in the Central Oregon area. 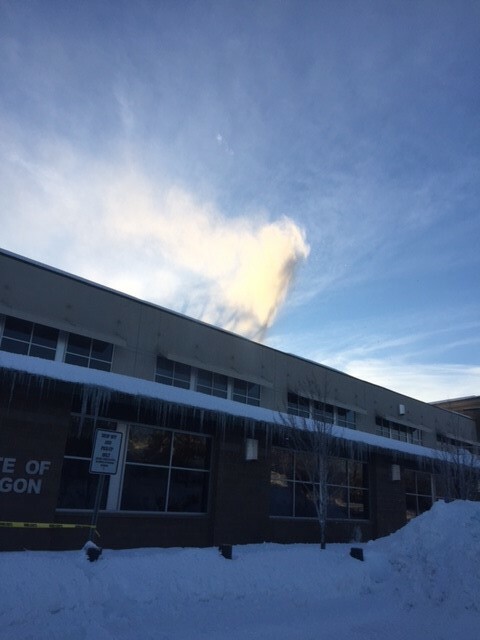 Kirby Nagelhout Construction Company (KNCC) immediately began to receive phone calls for help from the Bend-LaPine School District, Deschutes County and many businesses and private residents requesting immediate assistance with removal of heavy snow from the roofs of buildings. In the attached photos, employees of KNCC, attend an early morning briefing from company President Jeff Deswert, where they received their duty assignments for the next several days. 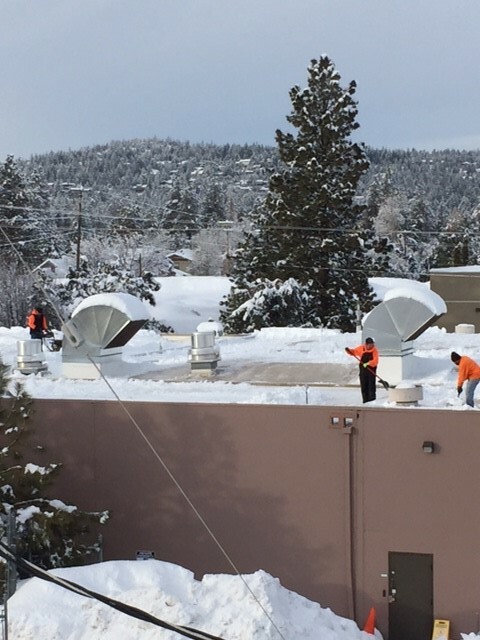 Also pictured is KNCC staff removing snow from Nosler Corporation in Bend, Oregon, as well as blowing snow from the Deschutes County Services Building located in Bend. 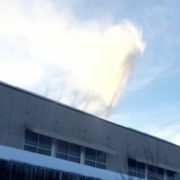 Several Bend-La Pine Schools also required KNCC crews to reduce the heavy load of the snow. KNCC and its employees take a great deal of pride in responding to public needs and supporting our communities in any way we can.